Having difficulties in playbak MP4 movies on Mac (Mac OS X El Capitan included)? Or having the preference for watching MP4 files on portable device via Mac? Want to transcode MP4 files for editing on Mac OS X El Capitan 10.11 smoothly? In cases like these, we will outline two ways for playing different MP4 videos on El Capitan easily. By installing QuickTime 7 Pro on El Capitan, you can open and play MP4 successfully, but note that QuickTime checks to see which codecs were used to encode the audio and video tracks within it. For example, MPEG-4 Part 10 (known as H.264/MPEG-4 AVC) and MPEG-4 Part 2 can cause a codec problem which doesn't work well with QuickTime. If both the audio and the video were compressed using a codec that QuickTime can use, the file will play normally. Otherwise you will need to find and add that codec so QuickTime can play media encoded with it. As we know, even if the QuickTime, VLC or other media players can support MP4, but format limit still exists there, let alone some of them can't fully support different MP4 videos. Well, the ultimate solution to playing MP4 videos on Mac OS X El Capitan we can figure out is to get an outstanding MP4 Converter for Mac, no matter for transcoding MP4 video format or compress your large MP4 files. 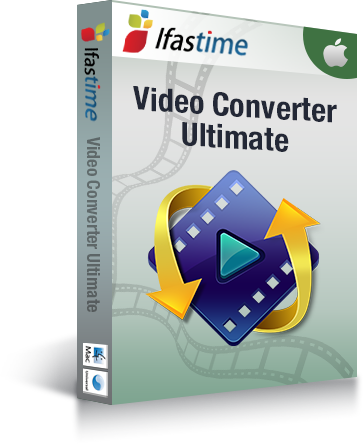 If you are looking for the most appropriate MP4 Converter for El Capitan then iFastime Video Converter Ultimate for Mac is a good choice. It is a great application that helps you to play MP4 on Mac OS X El Capitan in an extremely easy way by transcoding SD/HD/4K MP4 videos to OS X El Capitan supported formats like MOV and MP4 with both rather fast speed and original quality. Except for transcoding MP4, this tool supports the conversion of other popular video formats like AVI, MKV, WMV, FLV, MPEG, VOB, TiVo, VRO, etc. 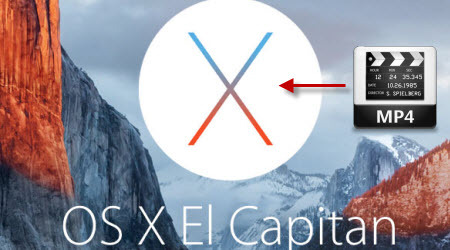 on Mac OS X El Capitan 10.11. Below is the step-by-step guide that shows you how to transcode MP4 files to Mac OS X El Capitan compatible videos. Launch the MP4 Converter for El Capitan. You can directly drag local MP4 videos into the program window or click "Add video" button in the bottom left to import MP4 files. 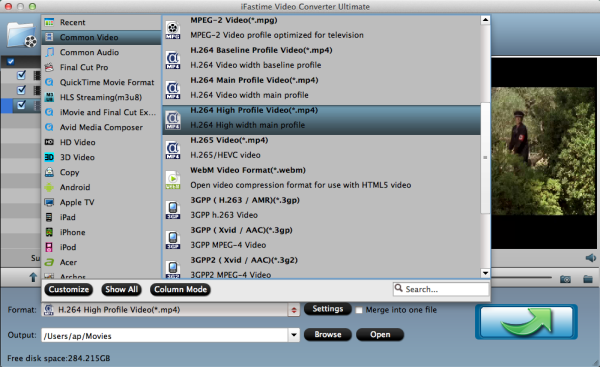 Click Format bar and select "H.264 High Profile Video(*.mp4)" or "M4V - MPEG-4 Video(*.m4v)" from the "Common Video", which are fully compatible with El Capitan and QuickTime. "MOV - QuickTime(*.mov)" format is also an optimal choice. P.S. This MP4 Video Converter for El Capitan also helps you to transcode MP4 videos to mobile devices supported formats, such as iPhone, iPad, iPod, Samsung Galaxy, etc. In the end, you just need to click the "Start conversion" button at the bottom right corner start the MP4 conversion. When the converting process ends, you can open output folder to check and play converted MP4 videos on Mac OS X El Capitan. It would be easy for you to playback MP4 on Mac with original quality. Tip: For Windows (including Windows 10) users, please refer to iFastime Video Converter Ultimate and the windwos workflow. I can’t wait for this El Capitan Video Converter for help me out.